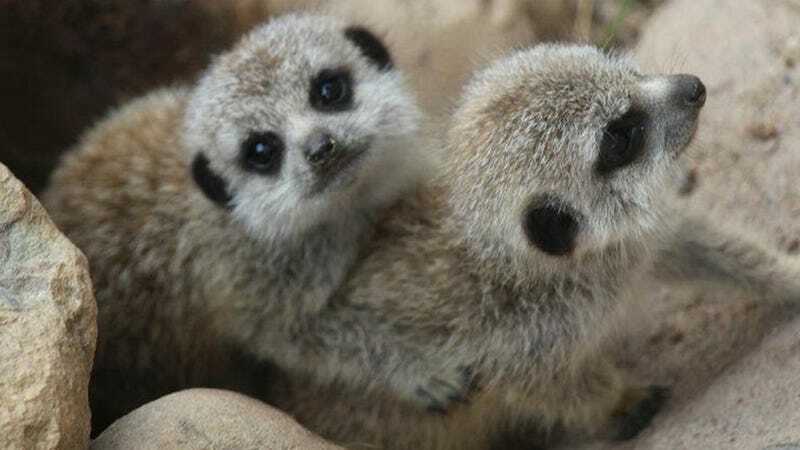 Honestly, I feel bad for these meerkat pups, because while they are adorable, unfortunately, the cute animal market peaked earlier today with the bulldog and the piglets. You are downgraded stock, dear meerkats. So sorry. Image via Zooborns.